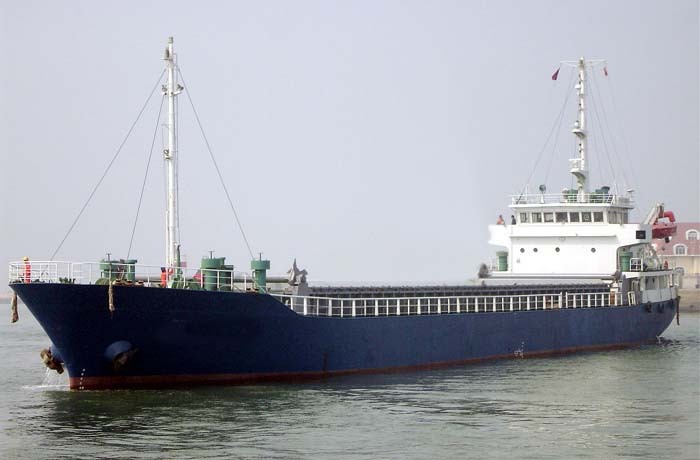 Two Chinese general cargo ships, Chang Xun 17 and Jin Hang Hai 6, collided near the Nantong part of the Yangtze River yesterday. After the collision, Chang Xun 17 managed to stabilise the vessel through unloading, however Jin Hang Hai 6 sank and all 13 crew members went into the water. The local maritime rescue team has recovered nine crew members from the ship, with two of them found dead, while another four remain missing. The search and rescue operations are still ongoing and the local maritime safety administration has informed all nearby vessels to avoid the ship wreckage site. Jin Hang Hai 6 is owned by Guangxi Fangchenggang Jinhang Shipping, and was carrying 4,500 tons of steel from Jiangyin to Guangzhou. Chang Xun 17 is owned by Chongqing Hongjian Shipping, and was sailing from Chongqing to Zhangjiagang. Collision seems a very negligent action unless people lost control. Seems they/one of them was moving very fast.